THE STORY - Three American friends are among those confronting a terrorist aboard a train bound for Paris. The title refers to the time the train departed Amsterdam Centraal station. THE GOOD - The feeling one receives while watching the film that inspires and motivates us to be heroes too when called upon to do so. THE BAD - Literally everything else. Acting, directing, pacing, writing, you name it. ​​Clint Eastwood is a legend both in front of and behind the camera. This point is inarguable. He is a passionate American who has supported the Republican Party and traditionally we have seen his patriotism spill into his narrative features as of late. People took issue with “American Sniper” and “Sully” to some degree or another but nowhere has the criticism towards Clint Eastwood been more earned than what he accomplishes (or doesn’t accomplish) with “The 15:17 To Paris.” Deprived of all narrative momentum, clunky, poorly edited, acted, written, shot, it might just be the worst film of Clint Eastwood’s directorial career. The decision to use the real-life actors in the main roles of the film was a novel and inspiring idea, however, the story around them is mundane and these three young men are simply not capable of carrying a feature-length movie on their shoulders. 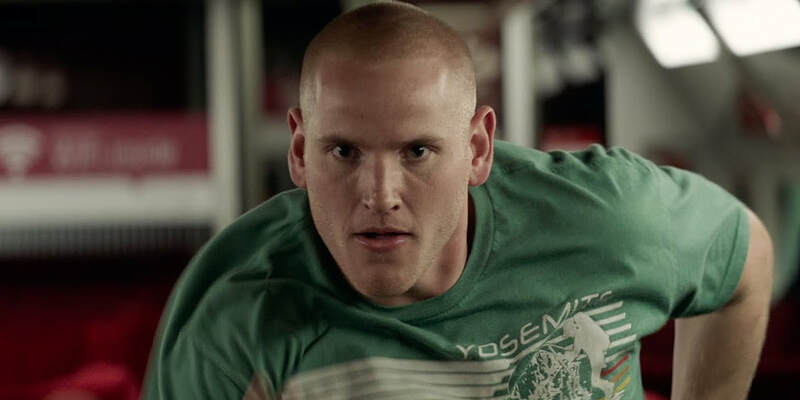 Spencer Stone (Playing himself), Anthony Sadler (Playing himself) and Alek Skarlatos (Playing himself) are three childhood friends who all get into trouble at school yet their love of the military and the country of America, is what unites them together. "The 15:17 To Paris" depicts the events which occurred in August 2015 as these three men stopped a terrorist gunman on a Paris-bound train traveling from Amsterdam via Brussels. The film showcases their lives as kids, through their time leading up to the attack, the prevention of the attack itself and the recognition they received afterward for their bravery. It’s not just the three lead actors who don’t give convincing performances. Judy Greer, Jenna Fisher, Tony Hale and Thomas Lennon all feel out of place due to the astonishingly poor writing they are given to say (Does Clint Eastwood really believe that this is how people talk?). Never once, was I captivated by a single character or performance within this movie. Once that was stripped away, I started looking for other aspects to enjoy. Unfortunately, there is barely a story within “The 15:17 To Paris.” We see these kid’s lives when they’re younger, we see Spencer (Who is the main POV throughout the film) go through military training, we see a brief glimpse into Alek Skarlatos' time serving in Afghanistan, next thing you know, we’re taking whimsical and jolly trips through parts of Europe with these men with zero conflict or tension. Eastwood simply wants to show that these are average people, doing mundane activities which people do so that their heroics and bravery later on in the film can carry more weight. In this regard, Eastwood sort of succeeds. The climactic moment on the train at the end of the film is a heroic act that surely saved many lives, however, it lacks any tension or energy. The only thing that we’re left with after such a hollow experience is the recognition that these men receive from the French Government at the end of the film which we’re told is meant to be an example for all to be inspired by. Despite Eastwood’s best intentions, that moment is literally the only aspect of such a woefully misguided film that warrants me not calling it one of the worst of the year. In what should have been a documentary with re-enactments done by the three heroes who stopped a terrorist attack on that train, Clint Eastwood made the bold yet uncalculated decision to cast the real men in the lead roles of a feature-length film lacking in a major narrative or any other energizing aspects which could have brought this film some excitement. Instead, we’re stuck with director Clint Eastwood who I’m sure did his usual “under budget and under time” routine to deliver this movie. The director famously is known for not doing a lot of takes with even his professional actors and it’s very clear while watching “The 15:17 To Paris” that more attention and care was needed with both the actors and the screenplay if this film was ever going to have a fighting chance to approach the levels (Even though this bar is somewhat low) of “American Sniper.” Instead, we’re left with the most misguided, awkward, and tedious pro-military film since “Billy Lynn’s Long Halftime Walk,” another film which was lacking in emotion, tension and any of the other aspects which make for a decent war film. We talked recently about how “American Sniper” felt almost like a propaganda film. There is no gray area with “The 15:17 To Paris.” This is Clint Eastwood’s “God Is Not Dead” and it's practically embarrassing both for the country and men he wishes to honor and for the iconic legend that he is within the film industry.